Expected for weeks, it's now real: at Roman Noon, the Pope named 70 year-old Archbishop Christophe Pierre as his Nuncio to the United States, retiring Archbishop Carlo Maria Viganò three months after the post's holder since 2011 turned 75. 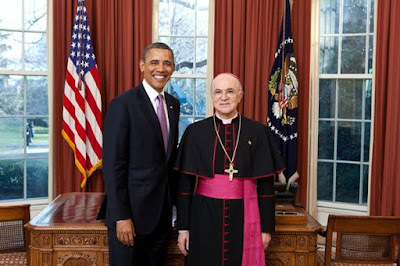 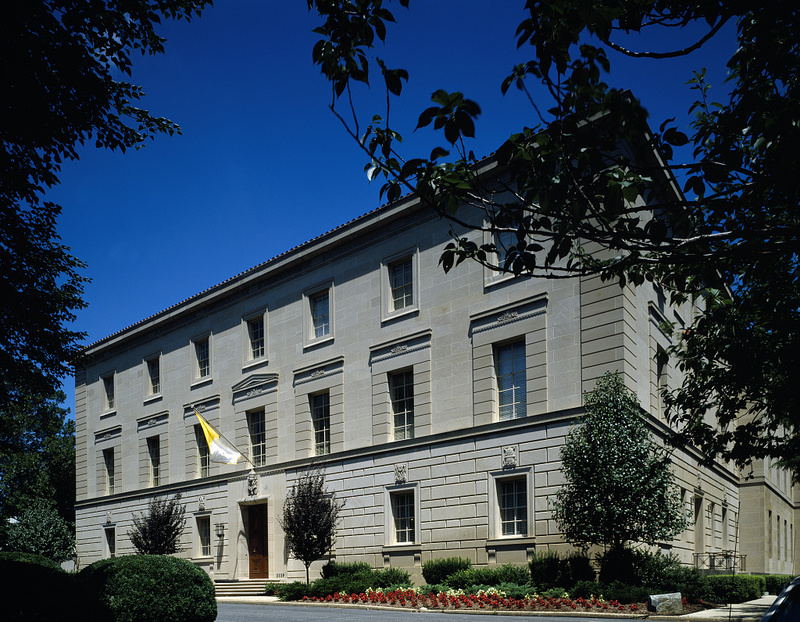 While the incoming occupant of 3339 Massachusetts Av NW may exercise the ecclesial prerogatives of his new posting immediately, the secular piece of Pierre's role – as the Holy See's ambassador to the Federal government – can only get underway once he presents his credentials to President Obama. 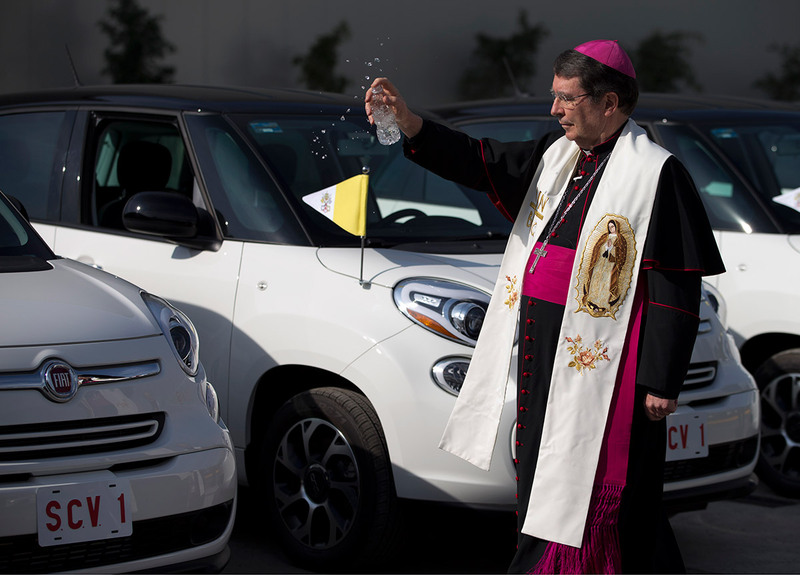 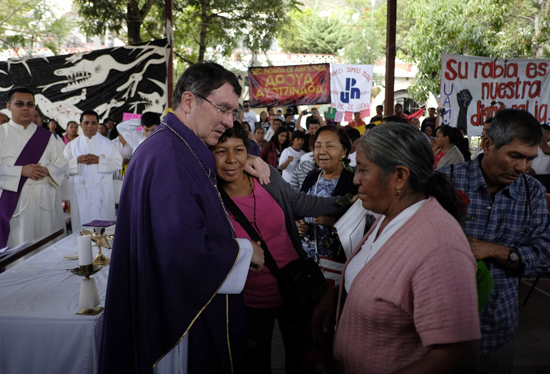 Given the Frenchman's assignment until today as Nuncio to Mexico, his arrival is expected to take place within a quicker timeframe than the usual 6-8 weeks since, unlike any prior choice for the DC posting, Pierre doesn't need to move across an ocean to make it there. For all the rest, the following piece anticipating the move was originally published here last month as reports of the choice began to emerge. More to come... in the meantime, discerning readers might want to revisit Francis' now-famous February speech to the Mexican bishops, in whose drafting Pierre's voice is said to have held a significant weight. 10 March 2016 – Less than two months since Archbishop Carlo Maria Viganò reached the retirement age of 75 – and, indeed, all of two days after the topic came up here – the choice of his successor as Apostolic Nuncio to the US is reportedly at hand: in a piece published earlier today on his Settimo Cielo blog, the conservative Italian vaticanista Sandro Magister indicated that Archbishop Christophe Pierre (above), the 70 year-old French-born legate to Mexico, is the Pope's selection for the Washington posting, with an announcement said to be "imminent."